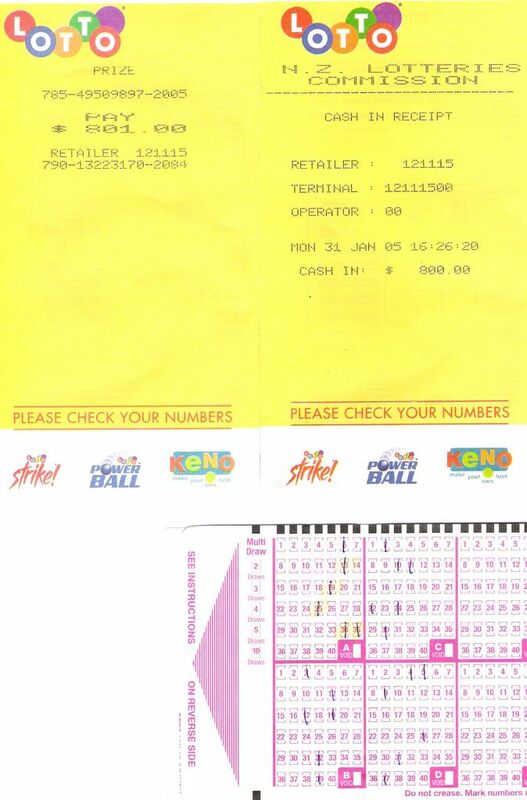 This is the first time in my life during my stay in NZ, I won Lotto and for 800 bucks. That's crazy! I and My wife normally check out our Lotto numbers on TV on Saturday evening 8 pm. We budget 5 bucks for Lotto tickets every month. Because I bought the ticket by myself when I went for grocery shopping alone last week, my wife didn't notice that we have a Lotto ticket and we didn't check it out on TV . Since Kezia's born, I do the grocery shopping alone. This afternoon, I went to Pak 'n Save to buy 1 kg of beef schnitzel as we were planning to cook "rendang schnitzel" for dinner. On the way out, I just dropped in to the Lotto shop at the entrance. Actually, I never do this way to check out the numbers. I was completely and instantly surprised for this ordinary and unexpected moment. Back home, I check out the number again on the NZ lotteries website. Yes, it's true. 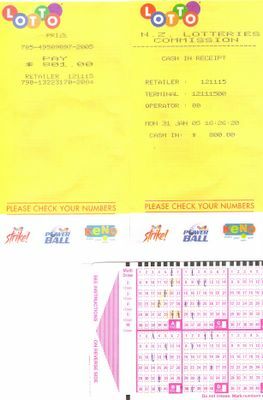 My numbers are 6 13 19 25 34 35 while the winning numbers are 13 19 25 29 34 35. So that, the numbers matched are 13 19 25 34 35 and I won for Division 3. There was no computer processing in getting these numbers. There was no Monte Carlo Simulation as well. There was no Excel random value processing. Even no statistical calculation. I just got the numbers just like that. Whooost, came up in my mind! I am Indonesian, but I live in New Zealand and my daughter is a New Zealander. So that, it's fair enough for me to consider Kiwi patriotism and nationalism instead of one I have at the moment. 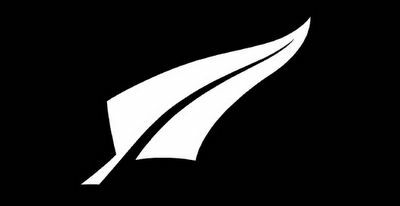 Seeing the current NZ flag, I have impression that it should be similar with one the Australia nation has. 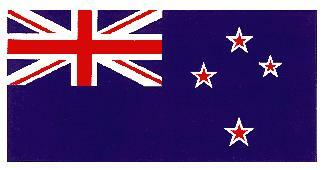 There is Union Jack with two stars missing in the Southern Cross. I don't know much about the history of the NZ own patriotism and nationalism. Unlike the USA, what I know they really fought the British Empire with blood and flesh. However, I understand that the modern patriotism and nationalism don't need blood and flesh to be sacrificed. The modern patriotism and nationalism are much like not denying your existence in how you should react against international event, news, discussion or anything. Indonesian patriotism and nationalism have been established since the time of the Majapahit Empire on Java in 14th century which captured almost all area in the South East Asia region. The flag is a kind of Jack with nine red-white strips. Then, such kinds of patriotism and nationalism continued until the Independence Revolution War in 1945 - 1949 when many Indonesian people fought the Allies for their intention to help the Dutch to rule back Indonesia after the Declaration of Independence of Indonesia in 1945. The Indonesian flag is simple and meaningful. It's only one red-white strip with 2:3 ratio. Red means brave and white means honesty. 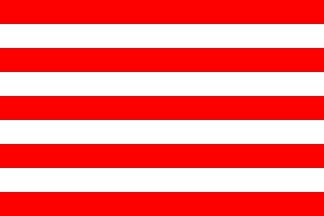 One song lyric says our red blood and white bones showing emphaty between the Indonesian people with their national flag. In NZ case, most of New Zealanders also really want to show their emphaty with their beautiful land and nature in the new NZ flag. New Zealand is well known as a peaceful country with non-arrogant and non-patronising people, low crime rate, clean environment, beautiful nature and no-snake bush. It's the time to show NZ own identity as a great nation and mature state. 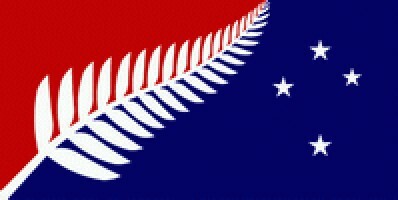 If someone asks me which flag I like, I would say the red-blue one with the silver fern in the border and southern cross in the blue side. It's colourful and meaningful. I found a good blog for MBA Finance students. The host is Oliver Thylmann. He has summarized comprehensive finance theories and knowledge effectively in a format of weblog. It is very accommodating. Thank You for your attention, supporting and encouraging words, even the gifts. However, Nina is the one who must get the greatest credit. She has done very well since the early labour until the end, even until now in breastfeeding. Following the process from the beginning, I really understand it's really hurt and painful. What is the closest powerful country? 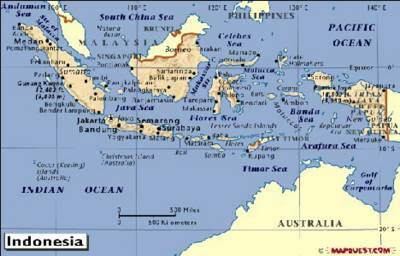 Which are the outer provinces of Indonesia? Aceh in the west part. West Papua in the east part. East Timor in the south part. North Celebes in the north part. Which are the richest area of Indonesia? Kezia Josefin Kusumo Liando. Born: Tuesday, 4 Jan 2005 at 00.17am (Jakarta/Java time: Monday, 3 Jan 2005 at 18.17). Delivered by: Clare Hutchinson at River Ridge Birth Centre, Von Temski, Hamilton. Weight: 3.45 kg. Length: 55 cm. Tsunami had swept Banda Aceh and other coast of Indonesia island of Sumatra. We can't do anything to stop it. It's too late. The certain thing we can do is to help Aceh. There are many channels that are established to provide aid supports for Aceh relief's programme. It means that many people and organisations really want to help Aceh. Help is one word that can be intepreted in many different ways.